11:00 AM - 1:00 PM at the Zion Lutheran Church. Private family burial will be held at the Big Grove Lutheran Cemetery in Brooten, MN. Norma June Snelling, the daughter of Harold and Mabel (Markuson) Hellickson was born on June 1, 1928 in Stearns County, MN. 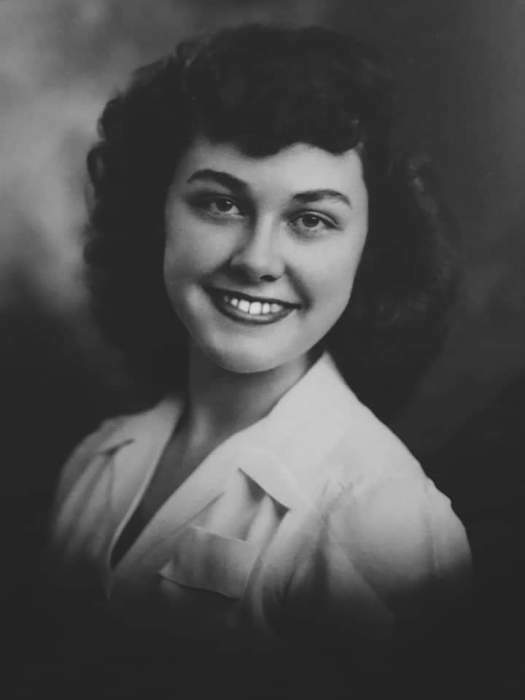 She graduated from Brooten High School in 1945 and graduated with a double major of Music and English from Concordia College in 1949. Norma was united in marriage to Douglas Snelling on June 27, 1953 at the Big Grove Lutheran Church in Brooten, MN. Norma taught music, English and many other subjects. Beginning her career in Wolverton, MN, Norma taught in Crookston, Kimball, Belgrade, Hutchinson, and for many years in Litchfield. She was a member of the Zion Lutheran Church in Litchfield where she was active in the Women’s Circles, study groups, call committee and was the Director of Music and Choirs. She was also a member of Minnesota Education Association, the Willmar Sons of Norway and Delta Kappa Gamma. Norma was the director of the Choralaires for over 30 years and active with the DFL and Homes of Hope. She enjoyed golfing, gardening, doing puzzles and crosswords, playing bridge, cooking and spending time with her family and friends. Norma sang for many weddings and funerals all across this region. Norma is survived by her children Julia Williams (Hobart) of Duluth, MN, Mary (Robert) Muchlinski of Hudson, WI and Steven (Susan) Snelling of Inver Grove Heights, MN; grandchildren Rachael (A. J. ), Steven, Celeste (James), Justine (Will), Mitchell (Angela), Skylar, Joseph, Martha and Jordan; great grandchildren; Amara, Margo, Helen, Ian, and Victor, sister Lajla (Fred) Hood of South Haven, MN. She was preceded in death by her parents Harold and Mabel; husband Doug; sister Merced Christopherson and Godson Joseph.